This post focused on equality and how it’s not treating people equally. I always thought I had a very diverse mindset growing up. My mistake was that I looked at everyone the same. After all, I remember being the only white boy in my second grade class and then moving into a Latino neighborhood in the f ourth grade. I had a similar experience in the fourth grade when I lived in a predominately Latino neighborhood. However, things changed when I became a hero for rescuing a small kid from being attacked by a vicious dog. I was accepted after that and learned a lot about Latino culture. I somehow thought that those experiences showed me what it was like to be a minority. I thought that I was equipped to manage people in diverse settings. I thought that I treated everyone the same so I was doing the right thing. I was wrong! I was a Commander in the Air National Guard coordinating a promotion board for a Senior Enlisted position. The Wing Commander called me up and wanted to talk me about the promotion board. He asked me why there were no minorities up for promotion. He already researched my Squadron and knew the racial makeup. I was prepared for such questions and responded that nobody else completed the required education to be eligible for promotion. He then asked me, “Why not?” I responded that I did not know why but that we encourage everyone to enroll and complete their education equally without regard for race. Just when I thought I was doing the right things, I learned I was wrong. It was a great wakeup call for me. He explained some real-life leadership principles to me regarding equal opportunity and equal rights. They really changed how I looked at everyone. The first one was that in order to provide equal opportunity you have treat people differently because everyone is different. Presented with the same situation, people will have different outcomes based on their past experiences. Two people can have the exact same intelligence level but different emotional and motivation factors. As a leader, you do not have to know everyone’s past or what motivates them, but you should be attentive to progress especially if you are seeing certain racial disparities. The second lesson is that I am a white male so I am the absolute least qualified and poorly equipped person to address and solve any minority rooted obstacles. He recommended we start a mentorship program that also included minority senior leaders who are better equipped to understand junior members’ obstacles. That makes a lot of sense. A lot of times people are successful and do not share their secrets with anyone. We often take for granted how we got to where we are and move on to the next challenge. Mentoring is a vital part to a successful organization especially if you have a strong minority leadership base. The point of my article was to highlight the need and permission to treat everyone differently, as individuals, regardless of race, but I cannot ignore the racial discussion around the racial topic. If you are like me, then you know that we have a lot of work left to do in America to get rid of racism, achieve racial equality and equal opportunity. For a long time, people have been trying to drive numbers to ensure equality, but we can see that it does not work. Numbers do not lead to success, but, instead, are indicators of success. We have to use statistical numbers to determine and quantify inequality and then use real people to solve the root of the problem. For example, if we find fewer minorities in high paying IT positions, then we work backwards from there and make sure our children are getting the needed education. As white males in leadership roles, it is our job to acknowledge our lack of understanding of minority struggles but to seek understanding and equality. We must further understand that we can never fully understand and that if we ever think we do fully understand then we have failed (because we think we understand when we really cannot). We need to also stop lying to ourselves and the world by saying racism does not exist because we all know it does. We cannot stop that stupid person from being a racist, but we can choose not to support them in any way. As long as there are still people being racist, we have not achieved racial equality. We must never stop seeking to understand and promote equal opportunity. By the way, we did discover that race had nothing to do with the lack of minorities being promoted. Everyone had valid reasons for where they were in their careers. It was a great wakeup call though that equality is not just treating people equally. 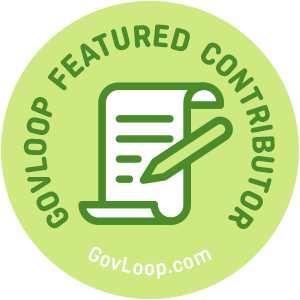 Matthew Scott Eagles is part of the GovLoop Featured Contributor program, where we feature articles by government voices from all across the country (and world!). To see more Featured Contributor posts, click here. Matt, I appreciate your honesty in this post; it’s so important for white privilege and racism to be recognized so we can actually start improving our workforces.